With Winston Peters winning the Northland by-election, National’s grip on power has loosened, with one less seat in Parliament. Before 28 March, National held 60 seats in the House, and with it’s neutered poodles, ACT/David Seymour, and Peter Dunne/United Future, had an overall majority of 62 out of 121. With Peters’ victory, National’s majority now rests on Peter Dunne, who, on occassion has exhibited an ‘annoying’ streak of quasi-independence from the National Party Politburo. It beggars belief that English would welcome an increased welfare bill costing many hundreds of times greater than the subsidy proposed for a multi-national casino – though god knows it would go a long way toward alleviating increasing child poverty in this country. Yet, that is precisely the situation that National now finds itself in. One more by-election loss, and National’s majority in the House would vanish, and Key’s administration would be at the pleasure of the Maori Party. National’s choice? To abandon right-wing “reforms” and appease the Maori Party’s demands for increase social spending – or call an early election. As the General Election in 1984 showed, voters do not appreciate early elections and the governing Party is punished at the ballot box. So where is National vulnerable to losing by-elections? National’s other coalition partner, Peter Dunne, has a slim majority of only 710. At this point, the National Party politburo and their charismatic, blokey Dear Leader must be praying to every god in the heavens for the health and safety of those sixteen members of Parliament. Key, English, Joyce, et al, must also wondering if any of their colleagues have any skeletons rattling noisily in their closet? And if so – does Labour or NZ First know about it? * Unreliable majority because of deal-making between ACT and National. TVNZ Q+A: Maori Party Emboldened? Another thoughtful analysis, Frank. Two and a half years is very long time for this government to get through without any more mishaps. I’m picking, (and hoping !) that something else will trip them up sooner rather than later. Probably a reverb from “Dirty Politics” or a new revelation that will lead to another resignation and by-election. Can you find out who leaked the Dirty Politics stuff and see if there are any nasty Nat surprises to come in the next 2.5 years? If you do, keep it under your hat until closer to the election though, but you can hint at it here. There is a South Island “urban myth” that may require another by-election regarding “The Whale Rider”, a prominent Nat, that would be very “embarrassing” for one of the lower office cabinet members. The two Natz that come on here and vote against any anti-Nat sentiment, should report back to the bosses that there will be another by-election imminent if this comes out! After visiting the Whaleoil Blog though, I had to scrub my eyeballs, wash my hands, chew garlic and recite some Latin phrases. But during the “What dreams may come” journey into the Whaleoil Blog, I saw how the worm slater has turned on JFK? But I do understand it was a difficult choice for JFK – cricket and the possibility of a 3-way with Brendan and the ICC trophy-giver; or sitting in a corporate box watching JFK’s BFF get KO’d in 55 seconds. But hell hath no fury like a slater scorned (sorry about the soppy alliteration). JFK should have stayed to watch his BFF. Even Planet Key is not immune to “trouble-at-t’-mill” moments. But, who will Mr Slater throw his weight behind when Key resigns “for famly reasons”, to retire to Hawaii? Collins? Bennett? Tolley” Or does the new leader have to be male? Interesting times ahead, especially if there’s another by-election because of lower-office beehive shenanigans. No-one knows who leaked the Dirty Politics stuff (went by the name of Rawshark ). If he was known then the police and GCSB who swoop on him. Witness the 10-hour police raid on Nickey Hagars house when he wasn’t home. And don’t worry, The Natsis being who they are will screw up somewhere. It’s in every fibre of their being. ObserverofParliamentOfficeSpaces – please email me at fmacskasy@gmail.com. Because of GCSB surveillance, we may find it difficult to discuss matters via email, but we might be able to arrange alternative means. Thanks, Kingi. And you’re right; two and a half years in politics is time measured in geologic terms. There were four by-elections in the previous Parliamentary term (http://en.wikipedia.org/wiki/List_of_New_Zealand_by-elections#MMP_era), so these things tend to happen with some regularity. If the next by-election occurs in a Labour-held seat, that is no problem for Key. Christchurch Central, Maungakiekie, Waimakariri, or Whanganui. Great article Frank, and picture of the nasty NatZ it’s vehicle with it’s wheels falling off. More to come we hope. Joyce/Goebbels should be fired now for screwing up the Northland election, but as we all see on TV1 this morning Pipa Wetzel the holy grail of NatZ spin doctoring is still churning out the tired old rhetoric, that all is for a brighter future yuk she should be fired also the Natz troll. She makes Mike Hoskings look mild as a Key clone tumpet. Cant wait till parliament resumes and we wonder of Carter will still rule as speaker in favour of nasty natZ line-up Joyce/key/English that we always see with over cooked monotony. Wow will the Maori Party grow a spine and be a productive member of parliament??? Just goes to show how getting rid of Hone was a bad move with Sabin under investigation at the last election, Winston really could have being th e King Maker and this could have being the end of the Key govt…..
You are right about 1984 Frank but 2015 is different. In 1984 we voted a National Government out but had no idea we were voting a neo-liberal Government in! Something we have been paying for ever since. The other major difference between 1984 and 2015 is that in 1984 the MSM was not the propaganda arm of the National Party! As an example, we know how important and what an amazing effort Winstons win was but on TV3 news last night it was snuck into the news without any fanfair. IF the MSM had acted as the fourth estate should National would never had won the last election! 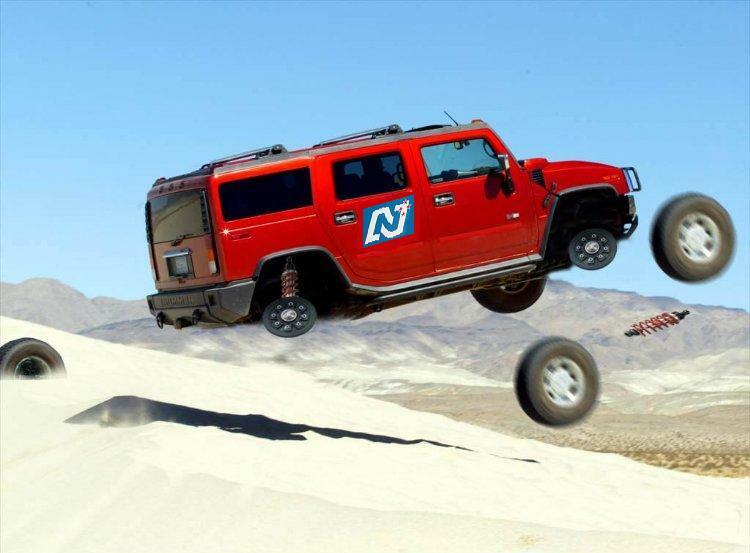 John Key turns up in Northland – shakes a few hands, National loses the seat. John Key turns up in Melbourne – shakes a few hands Blackcaps lose the cricket. The moral of the story is? Mr Key, call an early election and get the National Party a mandate to govern alone without ACT, MP or Sensible Peter Dunne by shaking hands with the voting public. Indeed, and it is not just health and safety issues that may lead to an electorate MP decide to stand down, or even be forced to stand down. Chester Burrows is for instance not the youngest, and who knows what challenges he may face over the coming few years. Nikki Kaye may seem motivated or safe, but how will she handle the demanding, stressful role as a Minister at her young age, as it is not an easy job. There can also always be unforeseen developments in family affairs and so, that can give an MP a reason to throw it in early. It may be a low risk for this to happen, but we cannot rule out an early election, given how things turned out with certain Ministers or ordinary National MPs over the last two terms. Thanks again Frank. Good informative article. Anyone else seen this from the WhaleOil? I only had a look at it, when it was passed on to me. I try to avoid the site like the plague. Can it be Cameron Slater, who incidentally was smacked around quite a bit in the boxing match with Jesse Ryder during the weekend, is turning against Key? Or was he injured in the fight, causing some form of temporary mental lapse? Cameron Slater gets concussed following a boxing match. Temporary lapse of good judgement, I would assume if you use the analogy “knock some sense into yourself” maybe Cameron Slater has awoken to realise he was used by planet Key and now has to join the human race again with us? As Capone/Key and his henchmen and women are soon to be banished, and Slater will still be left around to take the residual public anger that will linger afterwards for years, and he does not want to be that punch bag for them in their absence? No way could Slater have written that post. It as far too sane! Slater, being a Narcissist, is suffering from an ego injury right now as his Mr. Key has pretty much shunned him. I am not at all suprised. The basis of most right wing policy is self interest and individualism, along with indifferent disregard for others in pursuit of wealth and power. Slater just never thought he would be put in the “indifferent disregard” category of people, by the PM. LOL!!!!! Welcome to our world Cameron Slater. Better late than never, as it seems, as Matthew Hooten seems to have also turned a new page. well akshully we have plenty of reason for DEMANDING the resignation of the minister in charge of the GCSB, been poking its nose into too many places and many countries are upset!! The actions of the GCSB have brought the country into disrepute and therefore its controlling minister needs to go!!! COME TOGETHER KIWIS DONT LET THEM GET AWAY WITH THIS!! I was talking to someone else about things earlier today and seeing as John “Sociopath” Key is so on side with the USA ideologies etc, perhaps we could Impeach FJK !!! Lets go for it NZ !!! NZ is one of the countries that doesn’t have a formal impeachment process. The closest we come is in the reserve powers of the Governor General. The former head of the GCSB is unlikely to take the public’s right to privacy seriously enough to remove the man who gifted him his present position. You’re right Sally and I am pretty sure much of what he has done, at the very least, constitutes offences of treason. If they are finished, tell me what the alternative is.